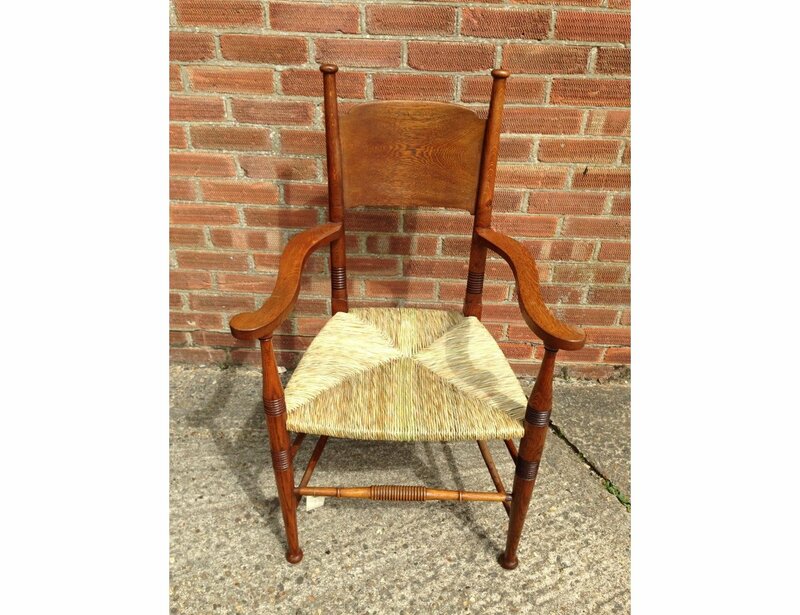 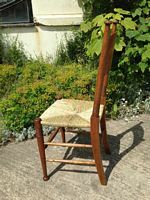 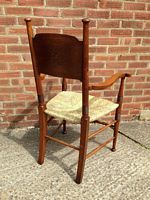 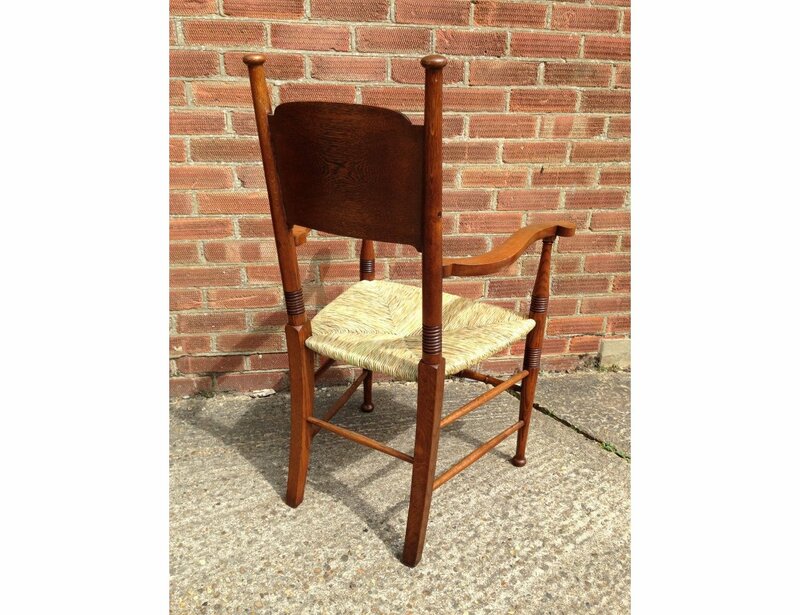 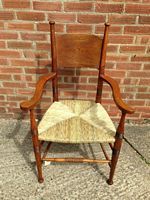 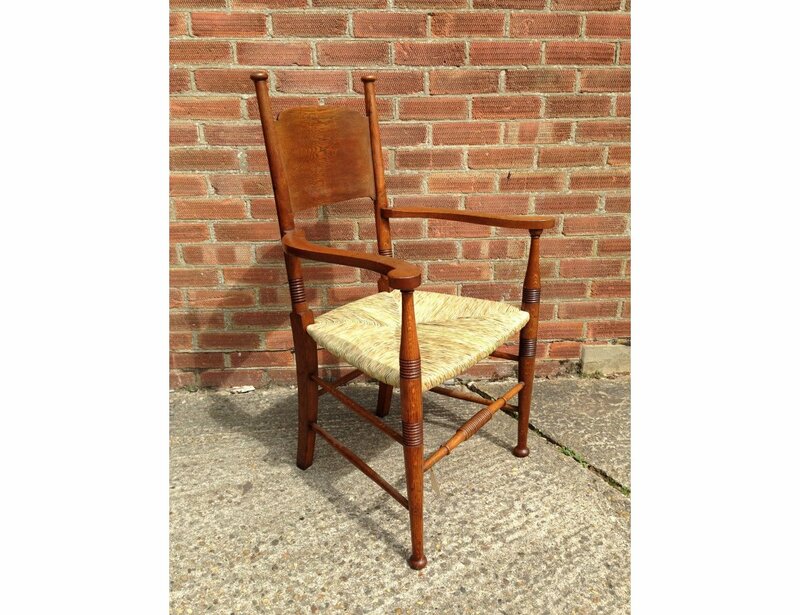 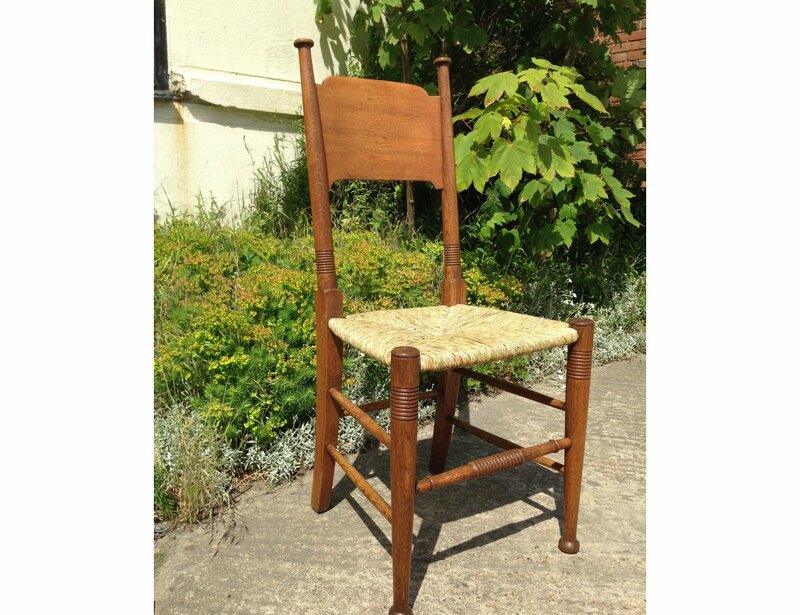 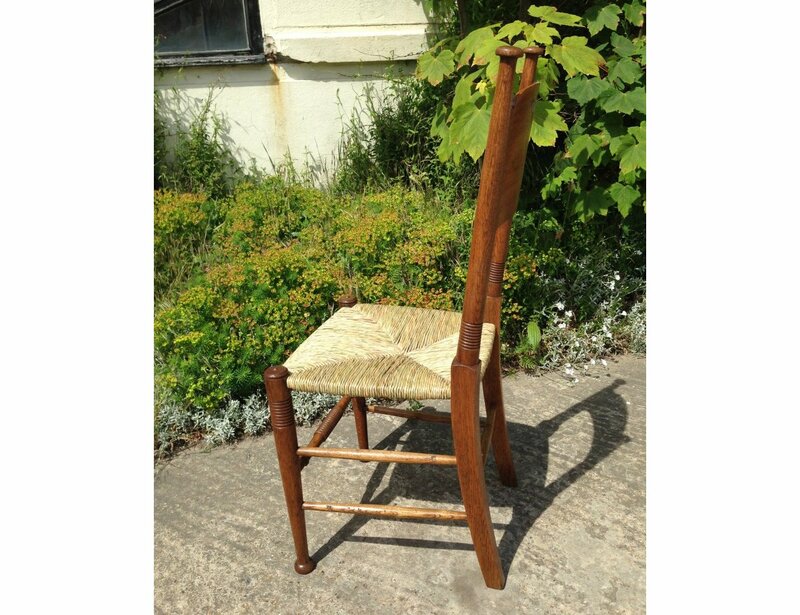 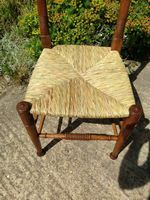 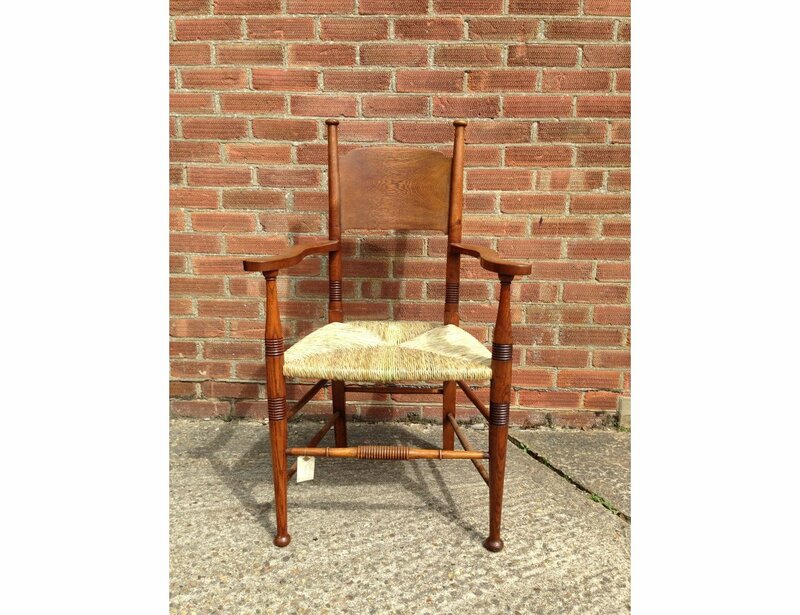 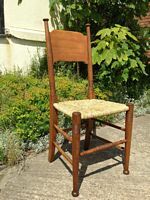 A William Birch Arts and Crafts Oak rush seat armchair. 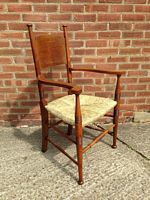 Restored in our workshops and professionally re rushed. 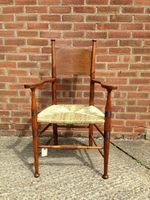 Armchair £950. 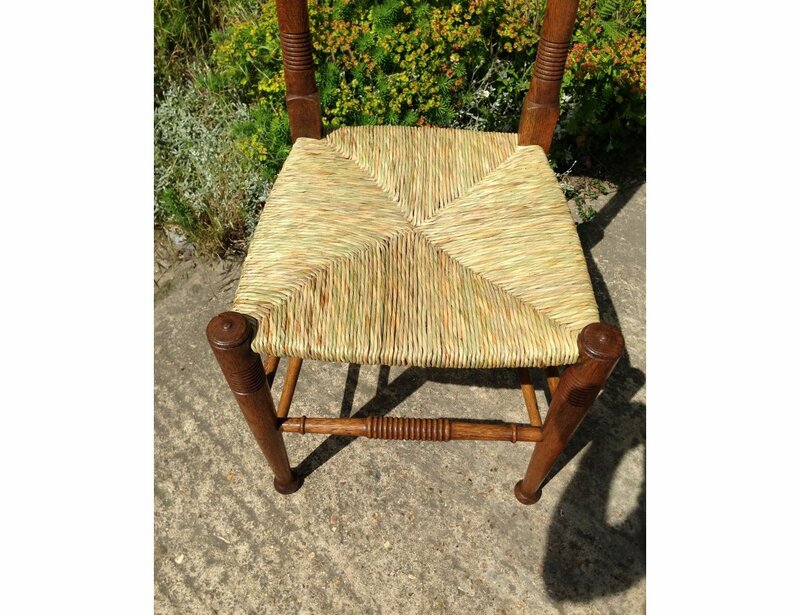 Side chair sold.